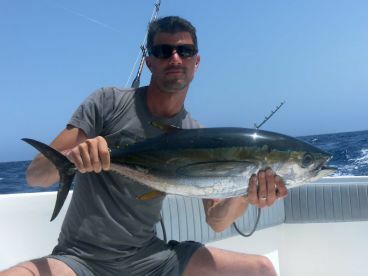 Captain Massimiliano Cosa has been a charter captain since 2006. A long-time angler who loves nothing more than fishing all day, every day, he loves introducing new and experienced anglers alike to these bountiful waters. 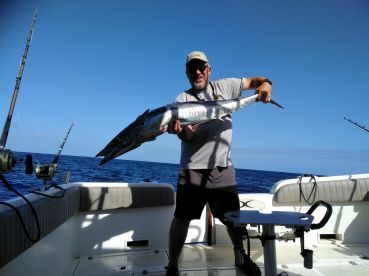 He is especially passionate about sport-fishing, and can’t wait to take you out on an adventure where you can battle Mahi Mahi, Blue Marlin, and even more! 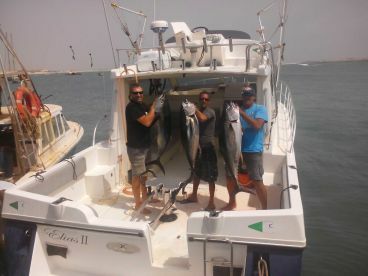 Booked Elias II in December 19 but unfortunately skipper was ill, so fair due another boat was there & ready to take us out. Captain tried really hard to find us the marlin but it was not to be our day. 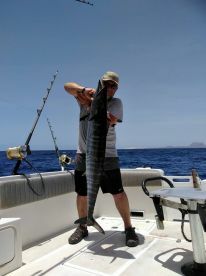 My managed 2 Wahoo & 2 Yellowfin ... wife catching the largest fish of the day .... 2 young deck hands were cracking lads & very good at what they did. 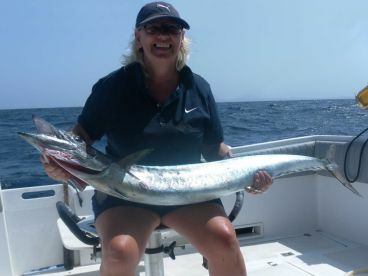 Prior to confirming the trip, I made it clear that I wanted to return any fish caught, but this was not the case on the day which spoilt the day somewhat. Other down points… we did not get a chance to take any pictures of the fish, the fish were just flung onto harbourside when got back in then out of nowhere a pick up arrived & sped off with the catch .... we had to ask for the promised refreshments after 4 hours .... trip back in from the fishing not suitable for anyone with back / spinal problems. The captain took us directly to the hot spot, right away after we start trolling we got a shark. 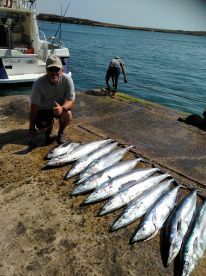 After some hour We changed equipment to jigging, that resulted in several ( What I think) bluefishes between 5 and 10 kg. During the whole tour the proffessional crew help us by useful tip and trix. 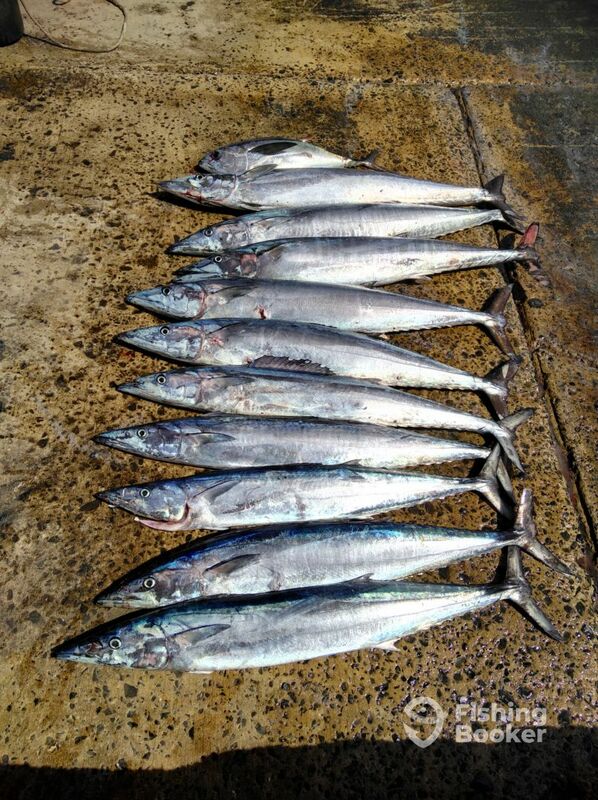 After a sandwich , We continued trolling resulting in one catched fish which to bad let go just before the boat. The capt. Keep on the whole day to really give us the chance to get the big catch. We can strongly recomend the Elias team, which includes Giovanna who manage all questions from the Office . 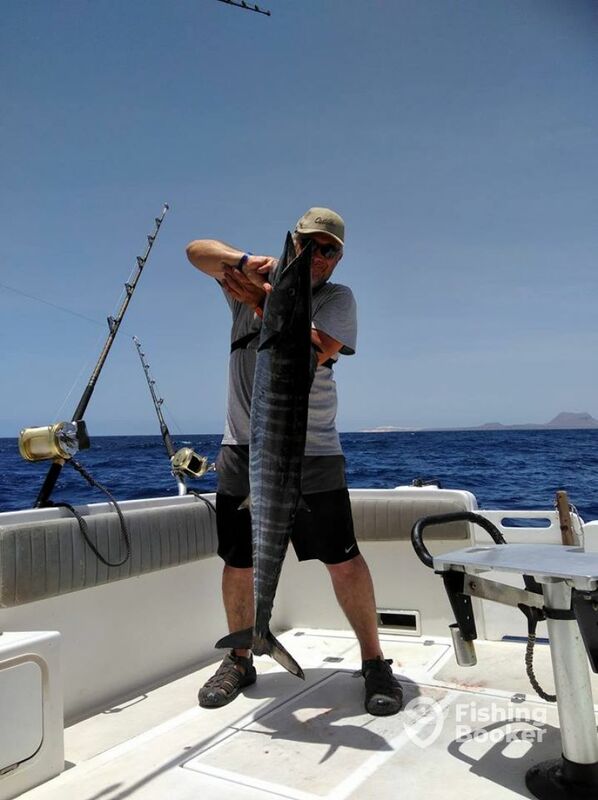 Hi Tomas, we are glad to know that you had a good fishing experience with us. Very good experience. Thank you Massimo! Hello Yohann, we thank you very much for your review. It was a pleasure to have you on board. 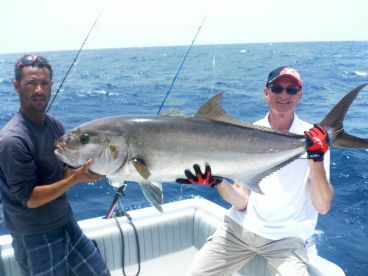 I was on the fishing trip with big game boys at December 8th and I got this big beautiful Tuna! Trip was awesome and I really recommend this trip to everybody who likes fishing! 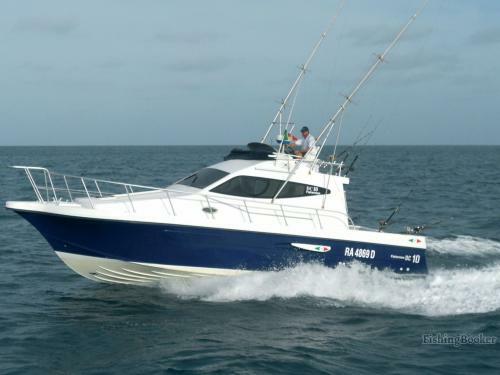 The boat was clean and crew was very knowledge and friendly. 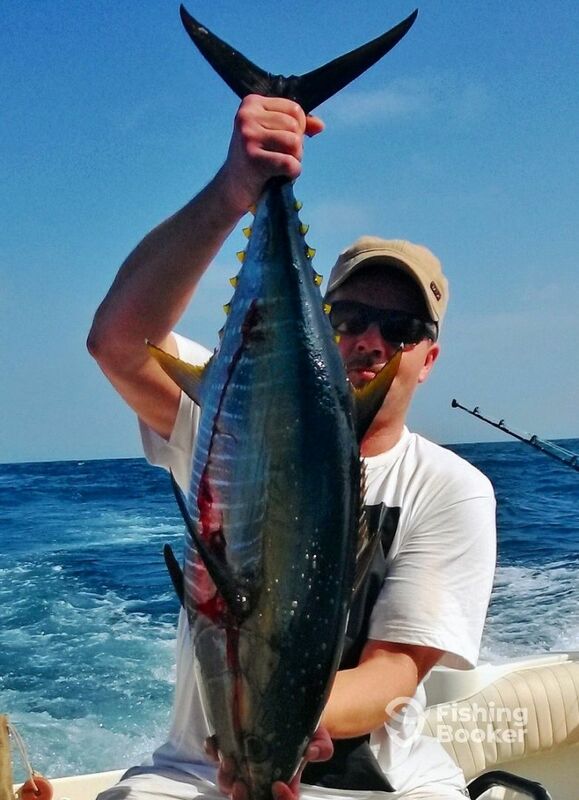 I was on the fishing trip with big game boys at December 8th and I got this big beautiful Tuna! 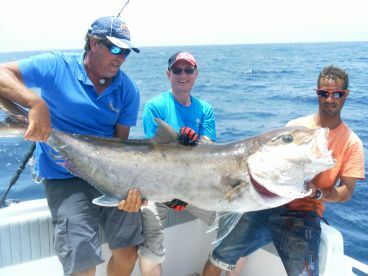 Trip was awesome and I really recommend this trip to everybody who likes fishing! 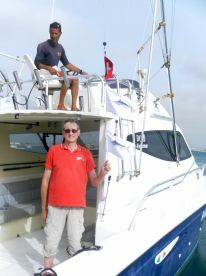 The boat was clean and crew was very knowledge and friendly.